This is part of a series, Getting Ready for Another Homeschool Year! Part 1 can be found here and Part 2 here. 7. Set up Systems. Make Your Routines and Life Easier. Another thing I’ve been working on over time, is setting up a “command center.” It’s still in process, but is slowly taking shape! First, I have one small area specifically for the girls. It’s a bulletin board in the hallway between their bedrooms and their bathroom. This is for their “morning routine charts” (more coming on this later) and they can also pin up items they want to keep there. I also have an area in my office – a hanging file holder from Thirty-One Gifts – where I hold items I don’t want to lose. (If I can lose it, I absolutely will!) Bills, gift cards, membership cards that we have, etc. Also, because our office room is right by the front door, I also have copies of of our HSLDA membership cards and homeschool information here. Pennsylvania is one of the most regulated (difficult) areas of the US to homeschool, and I had my first run-in with the local school board right after we moved here. So, I’m a bit paranoid, yes, but if needed, I can quickly and easily grab contact information and have it ready. Newest, is our “command center” in our kitchen area – actually on the side of our fridge! We have a large open-concept main floor, and this is easily accessible and viewable. Along with magnets holding important numbers (exterminator, energy company, etc) We have added several magnetic dry erase boards. One is for the girls – I list their daily school assignments and chores on it and they wipe them off as they complete them. I might add another next year, so my oldest can get used to start being responsible for her own work assignments. I also purchased a calendar dry erase board this summer. Originally I was going to make a very fancy menu planning list that I’ve seen on Pinterest, but at the rate I’m going, it will be years before that actually happens. This was done and easily adaptable to my needs. We’re still working on making this work for us as a family, but at least now we’re not waiting on needing to make it pretty too. (I also bought a bunch of dry erase markers during back-to-school sales at Staples at a fabulous price!) Sometimes I’m embarrassed by how much this little thing excites me, but if it solves my dinner dilemma, it’s worth every single penny! 8. Have Fun! Enjoy Your Summer and Get Outdoors! After doing this all summer it feels a bit that I have been “drudging” all summer. I have, to a certain extent. BUT, I would recommend you take advantage of all the summer has to offer– get outside, soak up the Vitamin D, and enjoy the sun! All too soon, winter will come and we will all be stuck indoors moaning over the 6 feet of snow blocking our front door! Enjoy it all while you can, build up those memories of pools, Popsicles, and homemade ice cream with your kids! Please share with me your own ideas to help your year run smoothly! What do you suggest?? This is part of a series, Getting Ready for Another Homeschool Year! Part 1 can be found here. I find that most blog posts about preparing for a homeschool year, focus solely on curriculum choices and setting up your homeschool area. While those are both very important (and fun!) topics, I believe there are more tips that we can share that will make your life as a homeschooler EASIER! 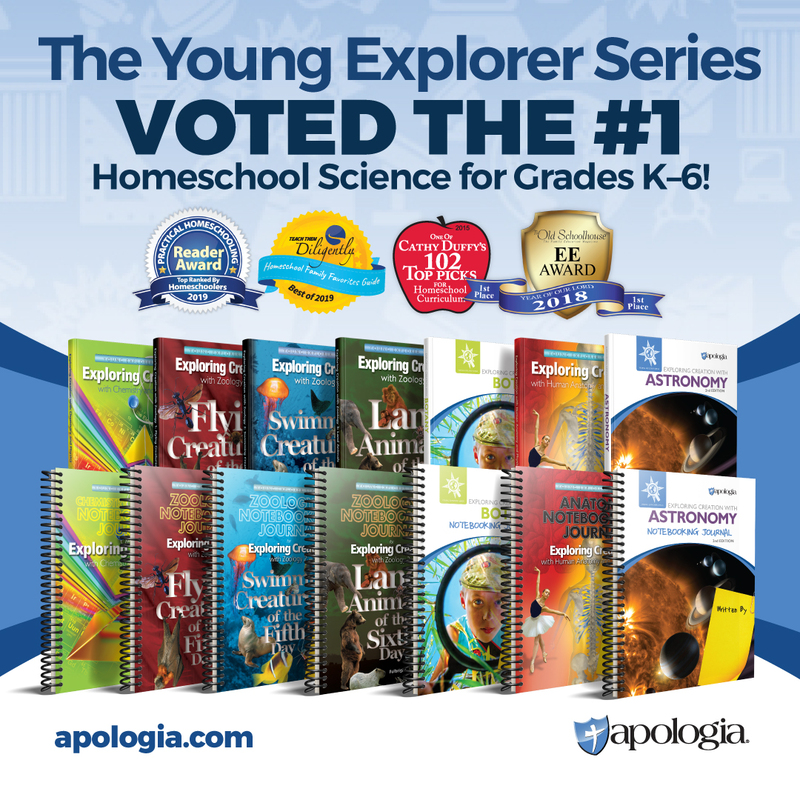 At the end of last May, I had several ideas about what had stopped working for us in our homeschool experience. Well this summer is the time to make those changes! First, I changed my work schedule to the mornings, so I could free up our afternoons and then be able to take advantage of more extra-curricular activities and homeschool park days. I wasn’t sure how this would really work out, but blessedly it has been great! 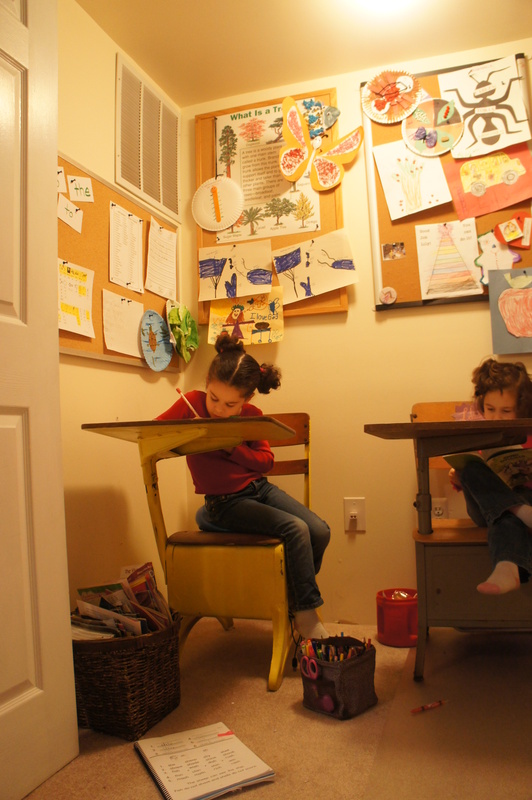 Because of this, the girls were having to take all of their homeschool items out of the “classroom/office space” every morning and spread out over the dining room table, and then put it back every night. That was fairly disruptive (and I was often having to nag them to constantly put things away). Yet, they love their school desks and didn’t want to get rid of them! So, this summer I did a re-arrange. I moved the table for their computers back into the office space – they can do their computer-based work with headphones while I’m on client calls – and their desks are now in the kitchen area where the table used to be. 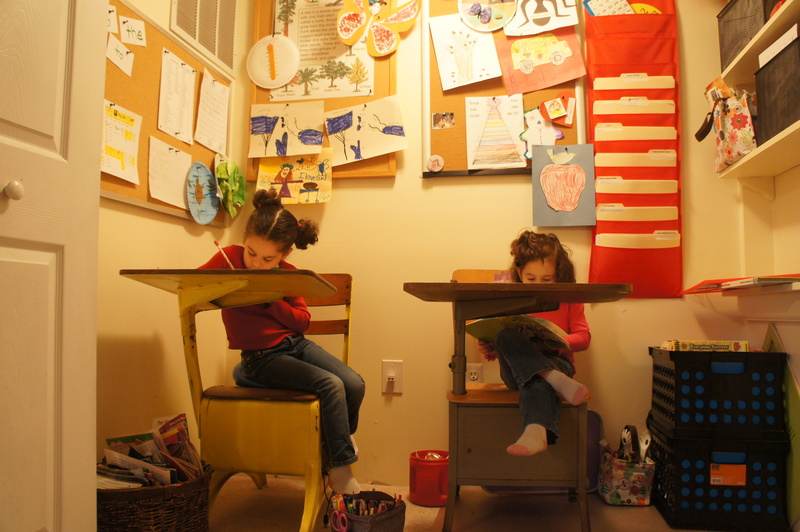 Now their desks can hold all of their workbooks, etc and they can sit their and do their workbook work in the mornings. We haven’t tried it out yet, but I think it work well. Having their table in my office allowed me to create a “charging station” for the tablets, and I can now keep stronger visual control over their electronics. This is something my husband and I wanted to implement, but weren’t quite sure how. 5. Purge Out the Junk! Clean It Out! I took a lot of time this summer to clean out the classroom/office space. While moving items around, I also took the opportunity to clean out used curriculum for sale, throw out old papers and do a deep clean of the space. This morphed into perhaps a bigger project than I intended, but has turned into a very-overdue entire spring cleaning of the house! I know it sounds crazy, but I am looking to having it all done. These are all the cleaning projects that I put off during the year because I have no time, things like cleaning out the inside of the fridge and wiping out the cabinets that have gotten gross, straightening and organizing the linen closets, and even shampooing carpets. 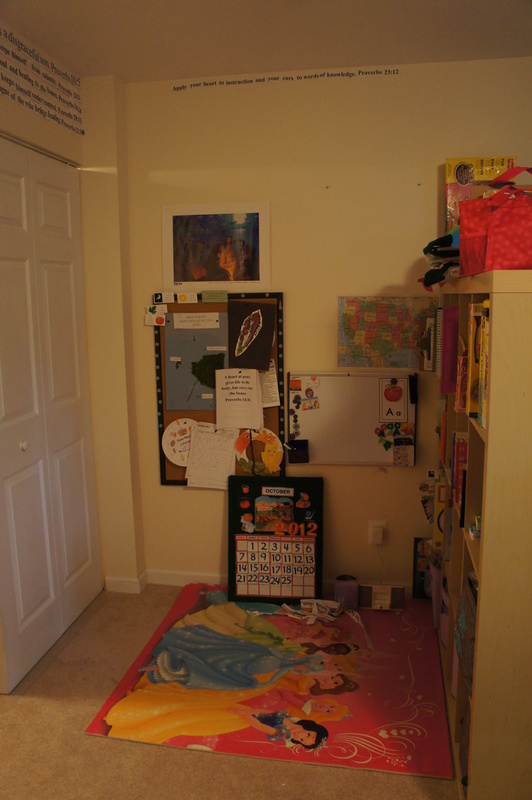 It’s also a good time to purge the girls closets of clothes that are too small, and purge out their playroom. I then was able to take advantage of the back-t0-school sales so that we replace what they needed for the fall. Dinner is the ultimate worst. Not only is it the witching hour for the kids, but I feel mentally drained as well, and at 5pm the last thing I want to think about is what I should cook for dinner. I dread it. Not the cooking, but the thinking and deciding. So much so, that I went on strike all summer – forcing hubby to be in charge (he didn’t mind as much, he just grilled every single day). BUT, even that much helped him understand what a total pain it is to do. And my being Celiac, and needing to have only gluten-free meals, really doesn’t make it easier. Since our favorite “meal assembly store” closed down last year, we’ve been scrounging. Working without a meal plan is just no longer working. One of my long project this year has been to organize our recipe stash and set up my own system for frozen meals. I tried my first big prep session this weekend, and I think we can make this work for us when we get the hang of it. I even tried out several new recipes that seemed like they would freeze well, so I’m looking forward to having meals ready to pull out this fall. This won’t take the place of prepping/cooking completely, and hubby is now fully on board with helping out more with meals (now that he realizes how much work is involved). He will probably continue to grill as long as the weather holds throughout the fall. I stocked up our freezer with a run to Costco, so as long as we pull it out to defrost (the catch) in the morning, we should be able to ready for meals with just minimal grocery runs for fresh items. I also recommend having multiple crockpots ready to use! Both of mine died over the summer, and I took advantage of the “off-to-college” sales to replace them. With our evening schedule now much busier, I will rely on them, and on frozen meals, constantly during the week. And I’m constantly scouring for new, healthy, easy, gluten-free meal recipes! Coming up next, I have a few more tips to get ready for your homeschool year! Please share with me your ideas! What do you suggest?? I can’t believe it, we are about to start our SIXTH homeschool year! How in the world did that happen?? Wasn’t it just yesterday we were doing this? So, like everyone else, we are prepping for our school year to start! I thought I’d share a couple ideas that I’ve implemented this summer; hopefully they are useful! 1. Figure out your extra-curricular activities first! Last spring, my girls decided they were “over” dancing, and wanted to do sports. What sports they didn’t know. So, we spent several weeks this summer trying different “sport camps” out, and finally settled on swimming! So, both girls will be doing swim lessons and the intramural swim team at the YMCA this year. I got this signed up and registered this week, and already purchased the required items (suit, swim cap, goggles) and popped them in a bag READY TO GO the first day. It’s done! This will be in addition to American Heritage Girls which we love. Since this is my final year as the Troop Coordinator, I spent a lot of time this summer trying to organize everything to get it ready to turn over and easily replicate for next year. (Organization has been one of our weaknesses in leadership. We’re trying to change that.) Thankfully I think all that work is going to pay off and make this next year run much more smoothly! Which is important, the stress of the insanity last year about did me in. I also adjusted my work schedule, so we would be more able to participate in some of the local homeschool group park days. I am really looking forward to spending time OUT of the house this next year! Isn’t that supposed to be the fun of homeschooling? 2. Plan “school” around your extra-curriculars and “life”! 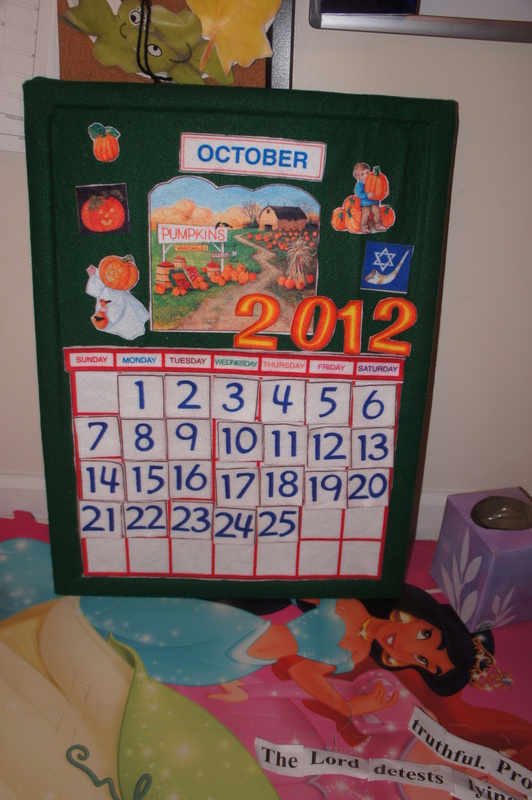 Once that is all done, I brought out my handy calendar, and started laying out the full year. This is more for ME, because I am very visual. I need to be able to SEE what days are booked with activities already. This also helps me from double-booking myself! And now that I have everything in one place, I can really see what our year will look like and start to plan! 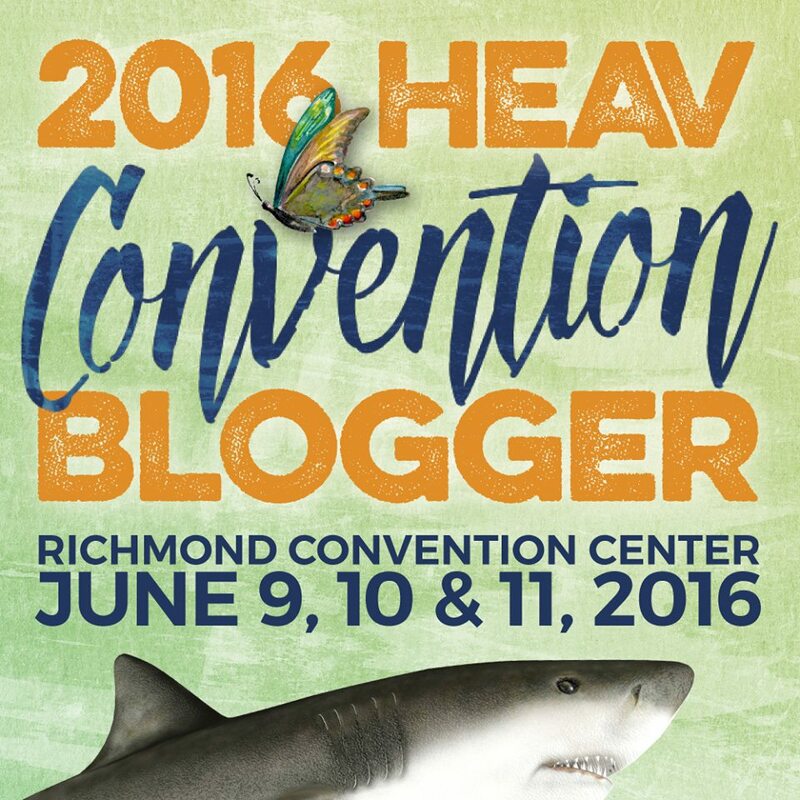 What days are heaviest – and then I should schedule a lighter “school” day? When should I plan in some breaks in the calendar- like Thanksgiving week, Christmas break, Spring Break, etc? Also, because we must have 180 days of school here in Pennsylvania, I plot out to make sure I have planned enough days and in time to finish sufficiently early so I can get our testing and portfolio review out of the way as well. And then to plan out our homeschool work and plan for the year. More on that another time! Coming up next, more tips to get ready for your homeschool year! But I’d love to hear your tips! What do you suggest?? I have finally gotten everything organized and de-junked enough that I don’t feel embarrassed to take pictures! 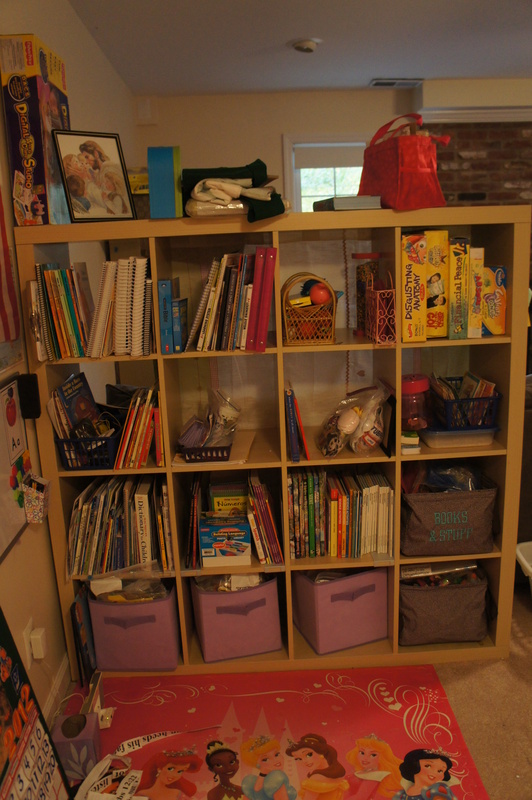 And so, I thought I’d go ahead and show you pictures of our homeschool area! 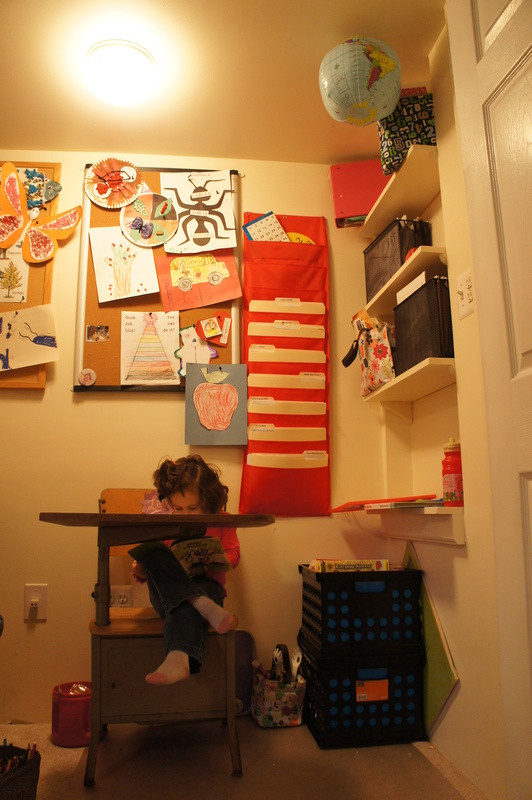 Our homeschool area is a sectioned-off part of our “basement” (bottom-floor of our townhouse), which is mainly a playroom. 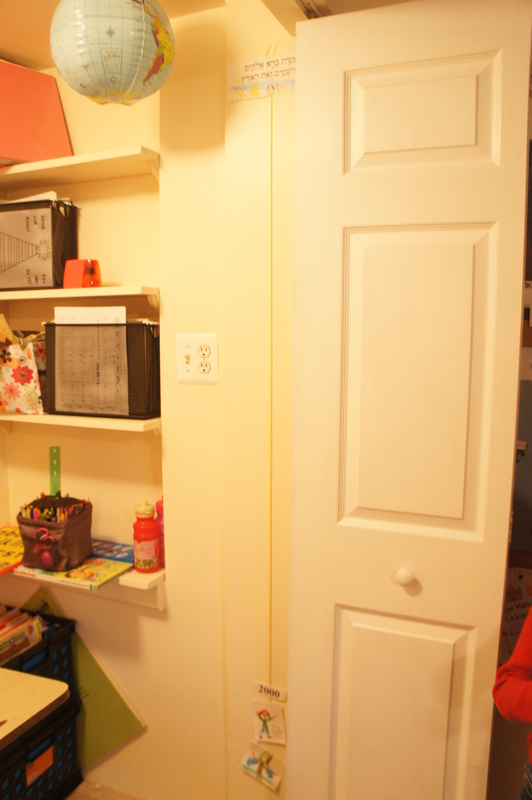 One of the major perks of this space is a MASSIVE closet with accordian doors, where we have a majority of our classroom area. Much of the artwork is from the summer camps they attended – one was a Spanish immersion camp, and they came home with the cutest craft projects. I didn’t have the heart to throw them out yet, so I kept the best, and whatever pertains to what we are studying this year I displayed. We are limited on storage space, so eventually most of these will have to go. Eventually. My younger child has her “chart” hanging right behind her desk (we used this for potty-training, and now for breaking the thumb sucking habit). When she fills it up the girls get to pick something out of my prize bag. Bribery, but it works, so I’m sticking with it! I hung up the blow-up globe on the ceiling using one of those adhesive hooks! It works great, and comes off easily if needed. The red hanging files hold “active” folders, and the green bins on the floor hold our entire kindergarten curriculum neatly organized together. The black wire bins on the shelves hold the 1st grade curriculum pages. And here is a picture of the infamous first grade MFW “timeline.” Since I ran out of wall room I had to go vertical with it. 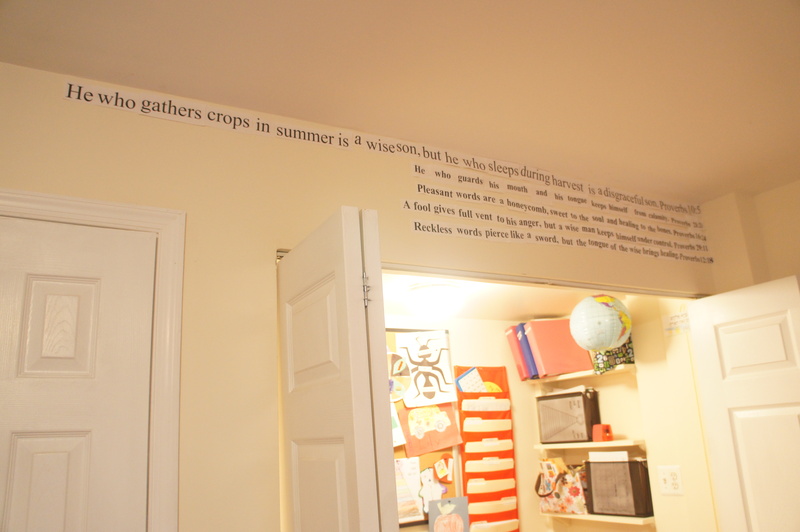 Our weekly Bible verses (once we’re finished with them) are hung on the wall above the classroom area. I’m running out of room quickly! Not sure what I will do. Here is the bookcase that divides our classroom from the playroom area and stores pretty much EVERYTHING we need for school. When I thought we were moving overseas, I invested in a ton of science-related books, and so we keep those here. The purple bins on the bottom hold all of our preschool-activity bags, but both girls still love playing with them. Mostly they are puzzles, memory card games, that sort of thing. The two brown totes hold all of our manipulatives. The basket on the top row holds everything I’ve collected that I now call my “fidget toys.” Since my oldest was diagnosed with ADHD last year, I’ve learned that often she needs to have something in her hands in order to be able to help process her thoughts (also a sign of a VERY kinesthetic learner). So, I started collecting items this summer. I have some in the pink bag on top, which is our activity bag for church. 1st graders start sitting through the church service, and this bag is my attempt to keep her happy and still enough so I can actually pay attention partially to the sermon. Besides colored pencils and crayons, there are Bible-related activity sheets and coloring pages I’ve collected all summer, in addition to a few of the fidget toys. Here is the wall beside our classroom. The mat on the floor was a Black Friday deal for Christmas last year. I taped all of the pieces together on the bottom side, and we use it to do activities on (and to protect the landlord’s carpet). 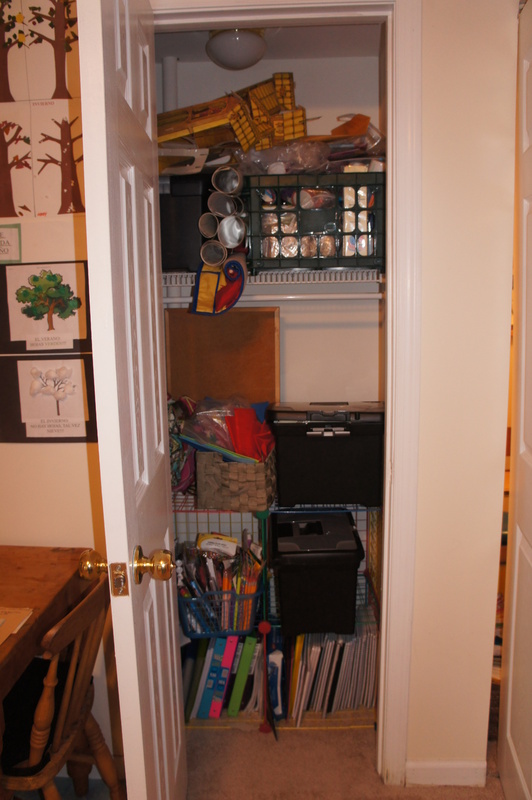 This is another closet in the playroom area that stores all of the school supplies I’ve been hoarding. About 90% of this is from back-to-school 1-cent deals and the dollar store.Yup. Except for the construction paper – I bought a huge stack of that at Costco and put it one of those black bins. Well, that’s our classroom! Hope you enjoyed the tour!